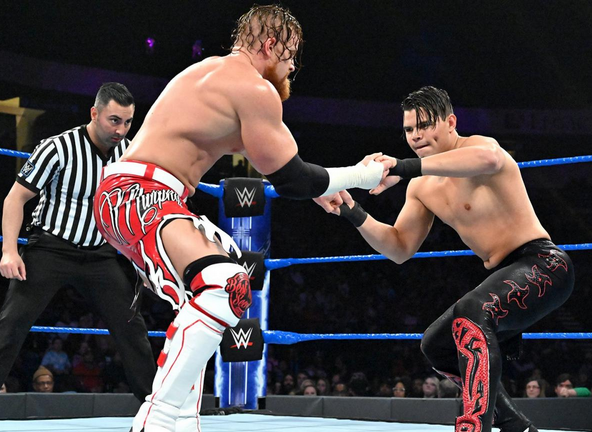 Cobertura: WWE 205 Live 15/01/18 - Humberto Carrillo answers Buddy Murphy’s challenge - Blood Wrestling - Aqui o Wrestling é nosso sangue! Singles Match: Lio Rush derrotou Lince Dourado. Open Challenge - Cruiserweight Championship Match: Buddy Murphy (c) derrotou Humberto Carillo.